Amelia has been writing online articles for over 10 years, and has self-published several books. She loves writing fiction and non-fiction. 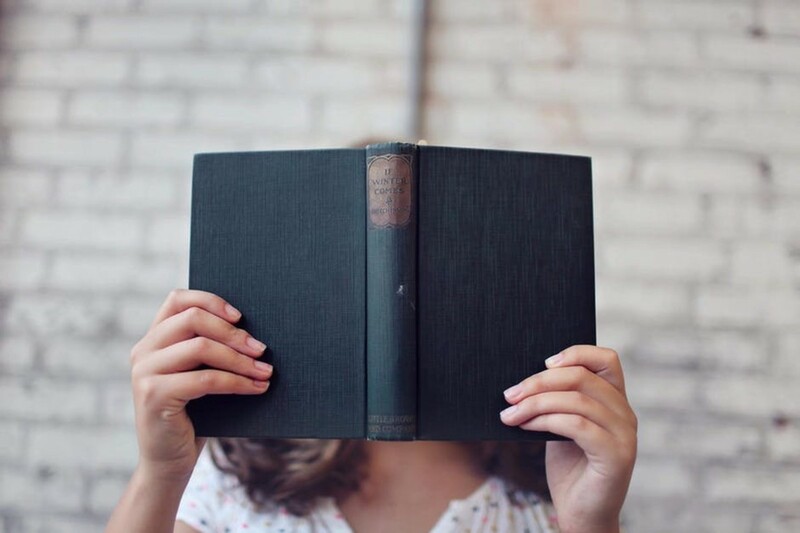 CreateSpace vs. KDP - What's the Difference? What is (or was) CreateSpace? Createspace, an Amazon company, is only one of various companies which allows authors to self-publishing paperback and other printable formats of their book, free of charge. 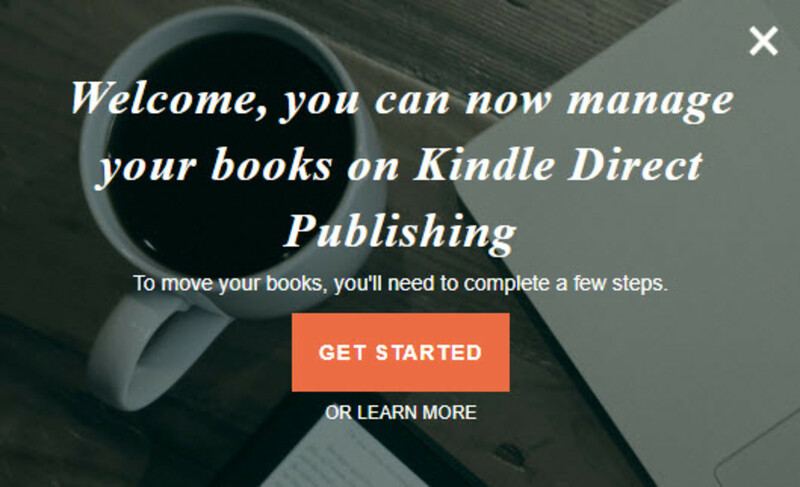 Kindle Direct Publishing (KDP), also an Amazon company, allows authors to self-publish electronic versions of their book, as well as printed versions, also free of charge. 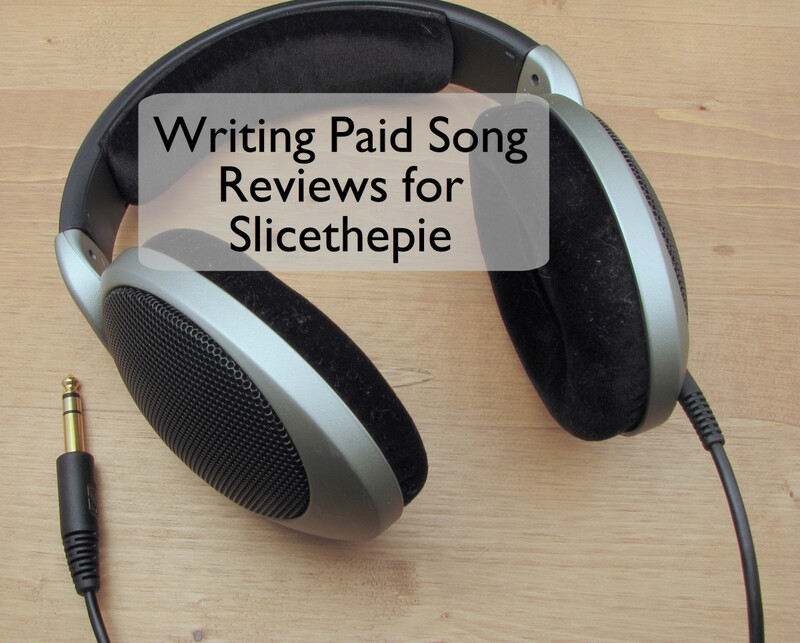 Is KDP the best choice for indie authors? Like every company, there are pro's and con's, so selecting a company to publish your book is a personal decision every author has to make. We'll get into that a little later. First, let's discuss the merge. When Did the CreateSpace and KDP Merge Occur? On August 28, 2018, I received an email from CreateSpace that CreateSpace and Kindle Direct Publishing (KDP) will become one service. 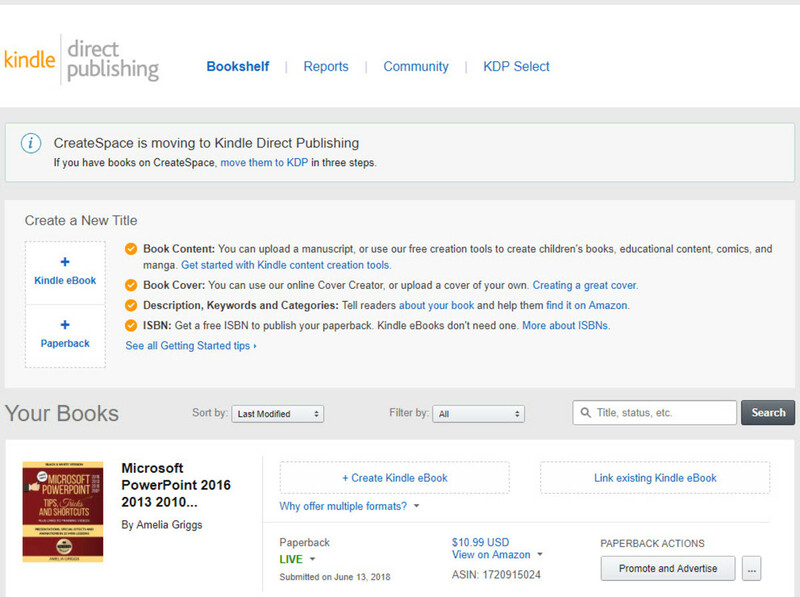 Although an exact date was not noted, it was stated that CreateSpace books will automatically be moved to KDP. However, book title owners may move their books on their own, if desired, in a few steps. 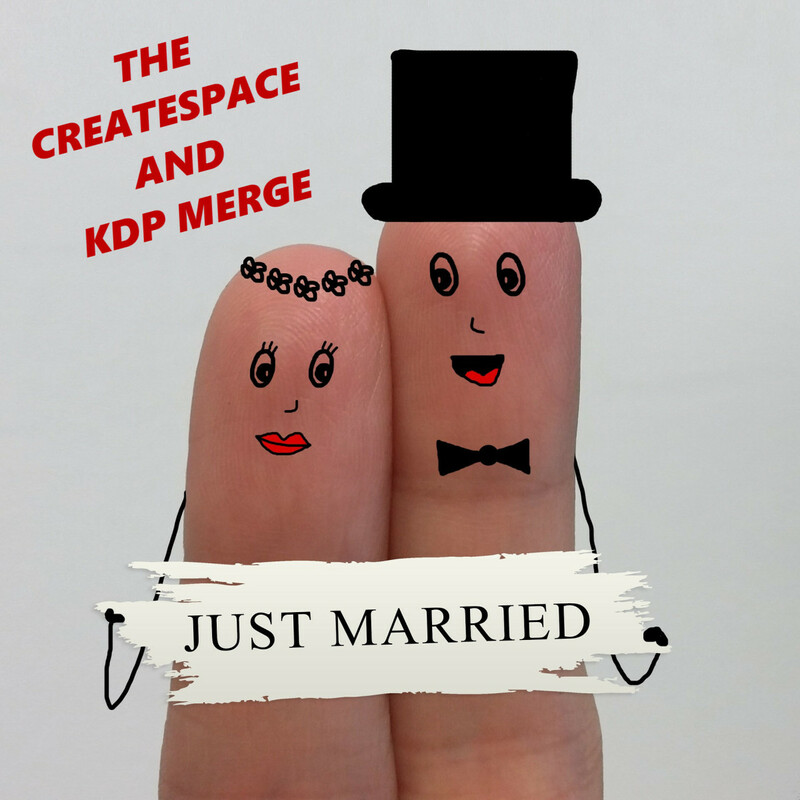 Why Did CreateSpace and KDP Merge? According to Amazon, the merge "will allow them to focus their efforts and innovate faster for authors, publishers, and customers." How Does the Merge Effect You? If you have used KDP to self-publish digital or print books, you may continue to use KDP in the same manner. If you have book titles on CreateSpace, I would recommend doing a little research and reading all the helpful information being provided on KDP Help (see the Help link in the Additional Resources section at the end of this article). In addition, I would recommend moving your book titles on KDP. 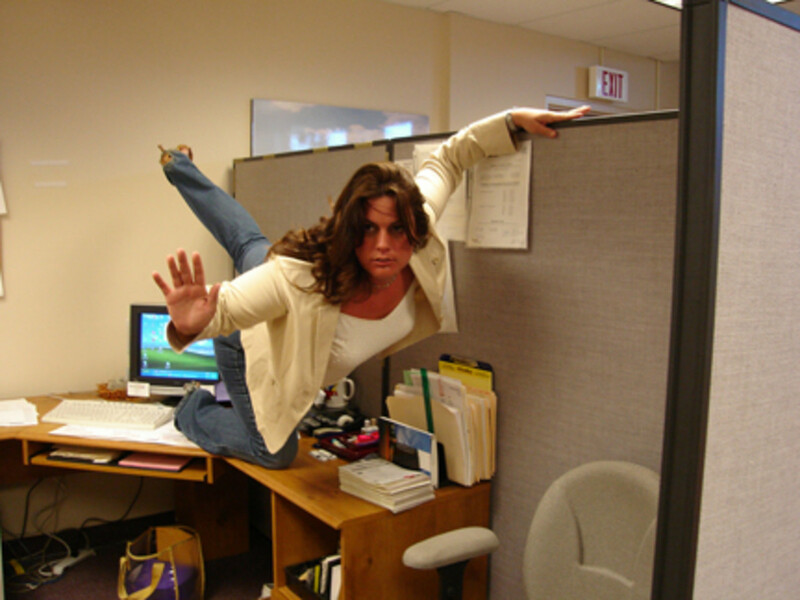 It's quick and easy, and this way, you will know that your books are moved and ready to roll on KDP sooner vs. later. If you have not used CreateSpace or KDP as of yet, the merge may be a blessing in disguise--I have used both in the past, including KDP for the digital versions of my books and CreateSpace for the print versions, and it's been cumbersome using both tools. Now that I have moved all my books titles from CreateSpace to KDP, I can use the Reports feature on KDP to view analytics for all my books, including both digital and print formats. So for me, KDP is now a one stop shop for self-publishing now that I only use KDP for all my book formats. Should You Only Use KDP? What About Other Companies? If you are just starting out, KDP is a good option to try, especially if you don't know where to begin. KDP offers an option called KDP Select which allows you to run free promos and countdown deals. To learn more about this, see my article, How to Create a Kindle Countdown Deal for Your Amazon Kindle eBook. The caveat to using KDP is that if you opt in to the KDP Select program, you can only sell on Amazon. So far, I have only been using KDP (and CreateSpace previously), but someday I will venture out. If you have self-published on other platforms, please leave a comment below and share what you like or don't like about other companies. How Do You Move Your CreateSpace Books to KDP? Upon logging into CreateSpace, you will see the following popup box appear. Click "GET STARTED". A summary screen showing the 3 step process displays. Providing you are already logged in, your Createspace account should be verified. 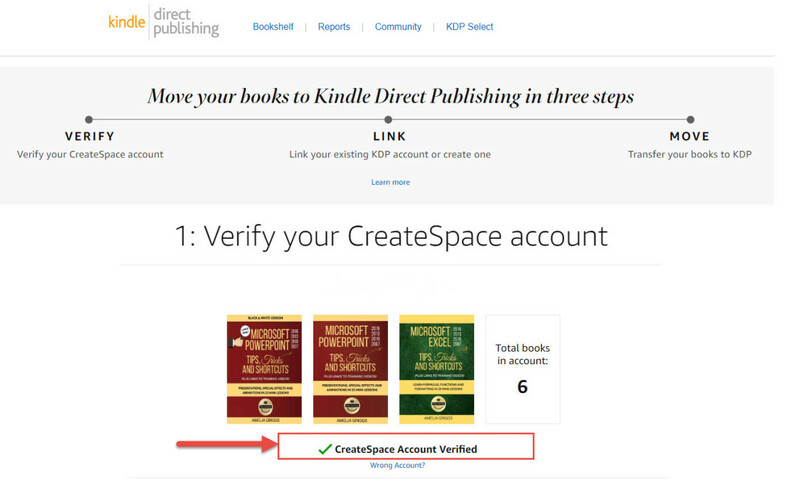 If you don't see "CreateSpace Account Verified" with a green checkmark, follow prompts to verify your account or contact CreateSpace for assistance. Link your existing account or create a new KDP account. Click the "Create or link your KDP Account" button. Note: If you use different tax information for your CreateSpace paperbacks and KDP eBooks, click on the link to see more information. 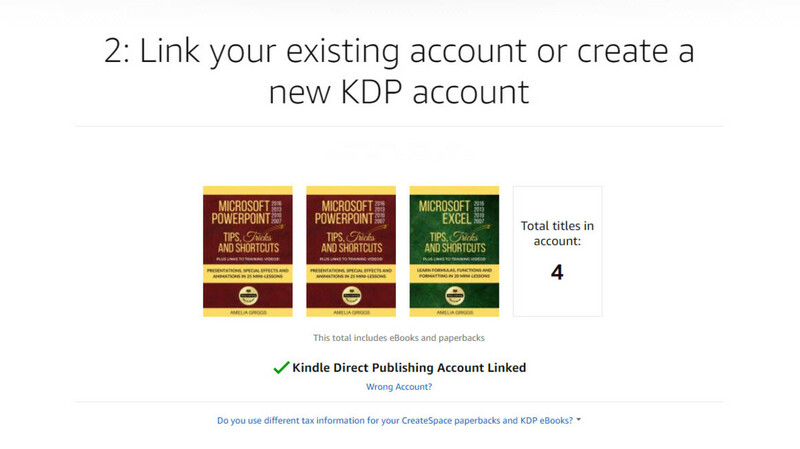 "If you have an existing KDP account with completed tax information, we will use that tax information to pay you for both your digital and paperback sales on KDP. If you are creating a new KDP account or have incomplete tax information in your existing KDP account, we will transfer your CreateSpace tax information into your new KDP account. If you maintain separate business entities for your print and digital publishing activities, you may want to create a new KDP account in the name of the business entity that manages your print publishing activities instead of linking to your existing KDP account." Next, you will be prompted to log in to your Kindle Direct Publishing account. Enter your password as prompted and click "Sign In". 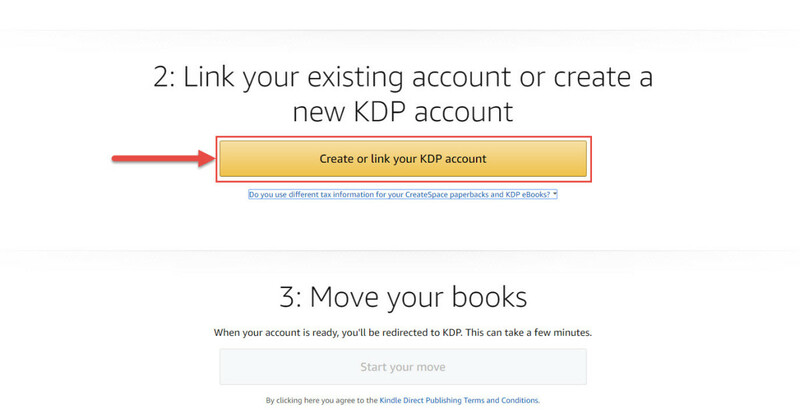 If you do not have a Kindle Direct Publishing account, follow the prompts to create a new KDP account. Step 2 should now be completed. You should see "Kindle Direct Publishing account linked" with a green checkmark. Next, click "Start Your Move". When the move is complete, you will be directed to your Kindle Direct Publishing bookshelf screen. Your paperback books should now be listed in the Kindle Direct Publishing bookshelf. Write and prepare your book and book cover. Save your book manuscript in one of the KDP supported file formats like docx, html, txt, and pdf. 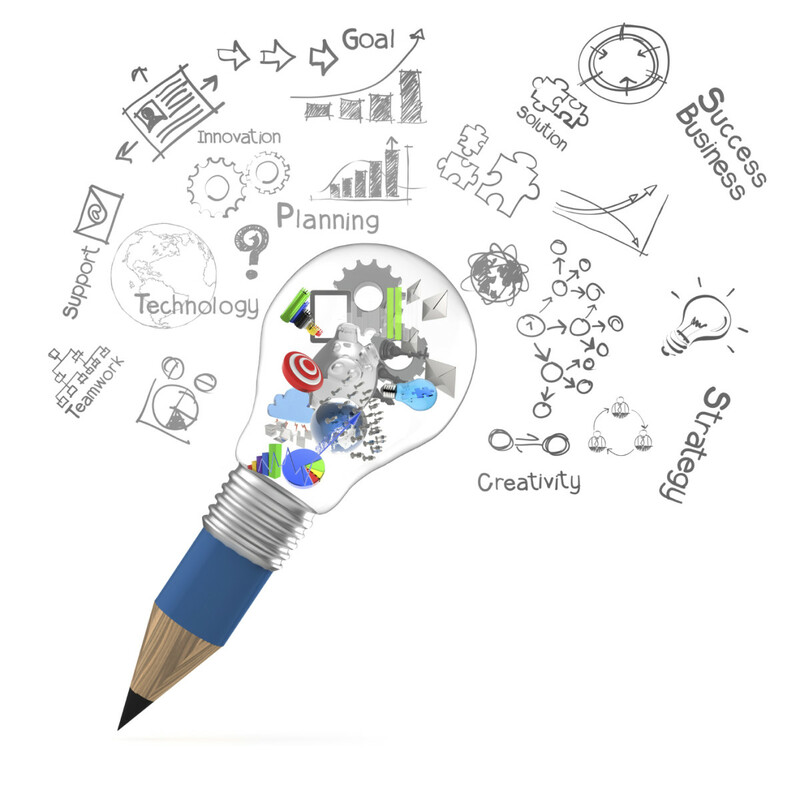 If you need help, KDP offers free tools like Kindle Create, Kindle Textbook Creator, Kindle Kids' Book Creator or Kindle Cover Creator. Upload your file on KDP. You can publish an eBook and paperback with one file, or separate files, depending on your needs and preferences for your book. For example, I use different files because there are a few differences between my ebook and paperback versions like a scannable QR code for the print versions of my book. Your book will be available on Amazon within two days. If you're wondering about ISBN's, KDP offers free ISBNs for print books. This is handy if you are only planning on selling on Amazon. Note: if you are planning on selling on other websites with other companies, some require that you purchase you own ISBN's. IMPORTANT REMINDER: Once you publish your book on KDP, it's time to share your news with the world and promote your book. Actually, you'll want to start spreading the word before you even publish. Marketing is a key step! Need more help with KDP and promoting your book? More articles are coming soon on how to self-publish books on KDP, book promoting and marketing! Be sure to follow me to be notified of future articles. Go to https://kdp.amazon.com and log in to your KDP account. Go to the paperback you would like to order. From the ellipsis ("...") menu, click on the "Request Author Copies". Select the Amazon marketplace closest to your shipping destination from the drop-down menu. You’ll be redirected to the Amazon Shopping Cart of your marketplace that you selected to complete your order. Why Should You Order Author Copies on the Back End? Ordering author copies on KDP cost less than the retail price. Author copies can come in very handy! Keep at least one master copy of your book to cherish! Display it proudly on a book stand and look at it everyday. This is your baby, so give it lots of attention and watch it grow! Bring author copies to Author Expo's. 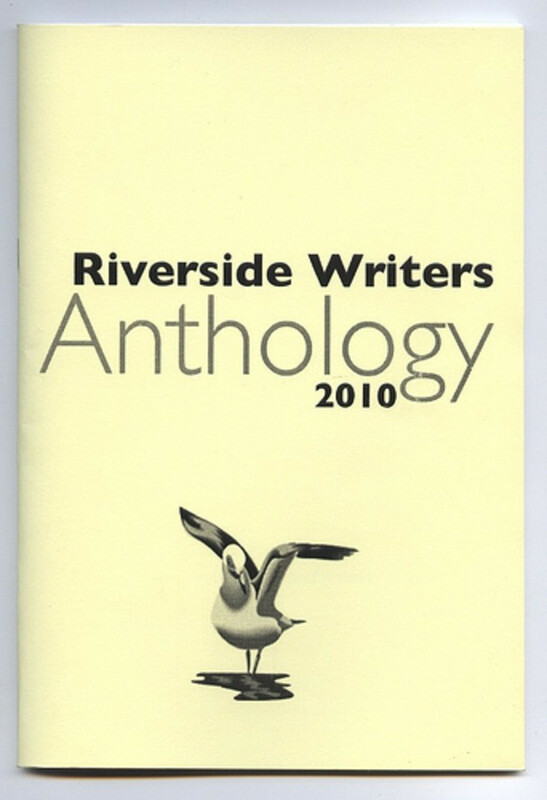 Give copies of your books to family members, friends/colleagues or give as gifts. Keep a few copies of your books in your car because you never know when you might pass by a book store--stop in and tell them about your book--they may be interested in carrying yourndy at Author Expo's, for family members, or to give to friends/colleagues as gifts. Keep a few copies of your books in your car because you never know when you might pass by a book store--stop in and tell them about your book--they may be interested in carrying your book and having you do a book signing! 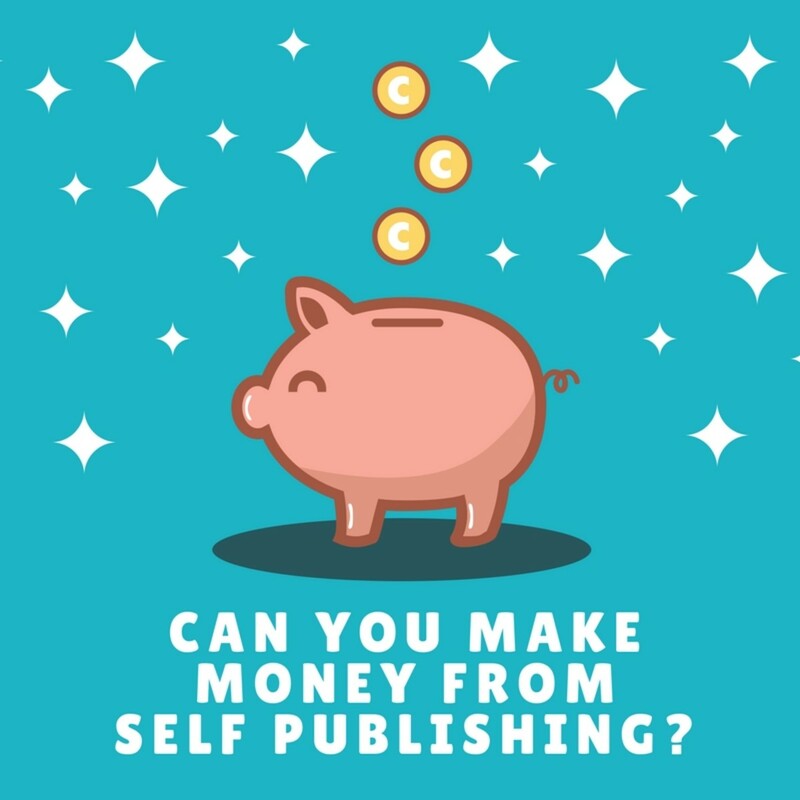 How to Self Publish Your Novel - The Micropublisher Revolution! 4 months ago from U.S. Thanks so much for your input, Heidi! I haven’t seen the new KDP sales dashboard but I noticed a banner recently that it is in beta mode. I’ll have to take a look. Thanks for the reminder! P.S. Your Hubpage articles are awesome! So glad we connected. One more thing... have you seen the new sales dashboard that KDP is working on? It's in beta and looks kind of cool. Good summary of the changes and new KDP landscape! I let the Createspace/KDP gods do most of the transition, and only had to connect a few things over on KDP. So it was pretty painless. Like you, I'm only using KDP for my self publishing efforts these days. Honestly, I'm so glad they merged! It was kind of a pain always having to keep track of the print in CS and eBooks in KDP. At some point, I wonder if they'll merge in the ACX audio stuff. Wouldn't surprise me. Thank you so much for including links back to my posts on related topics! Have a great weekend! Thanks Joyette! Congrats to you and your daughters on having 5 titles. That’s quite an accomplishment! Great article! I just made the move myself. My daughters and I had five titles on Createspace.